Monsoon Shawl + Last chance for Schaefer Bianca! 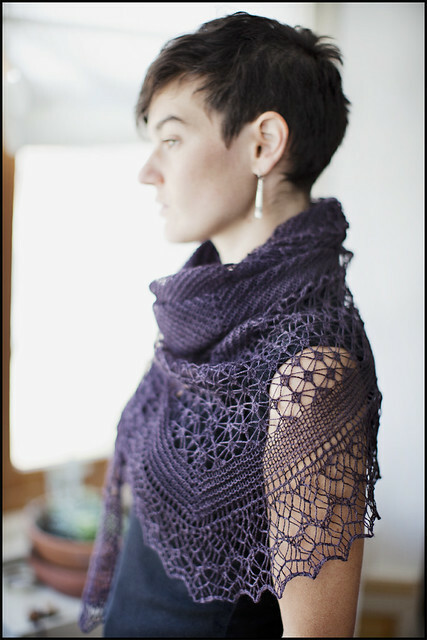 We saved the best for last… the most-loved pattern from the new Interweave Knits is Angela Tong’s Monsoon Shawl! This shawl is a show-stopper, and looks like such a fun knit that will fly off your needles. 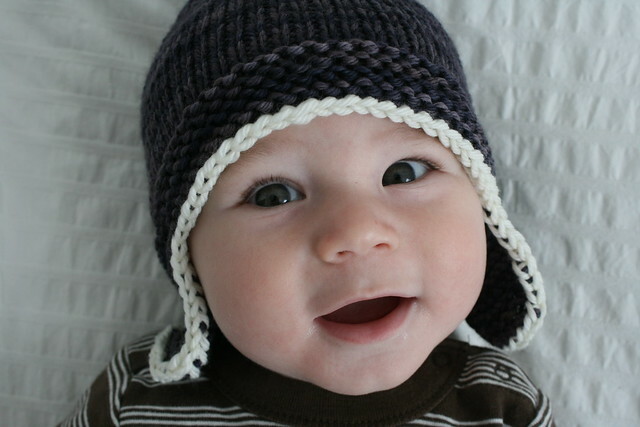 The pattern calls for a worsted weight, but we think it would really sing in Schaefer Bianca – 30% off at Little Knits! Bianca is a soft, squishable blend of merino and angora. This yarn line was hand-dyed exclusively for Little Knits – you can only find it here. Most of the colorways are one-of-a-kind. Schaefer’s owner and dyer, Cheryl, has retired, so this is your last chance to indulge in these unique, hand-dyed beauties. 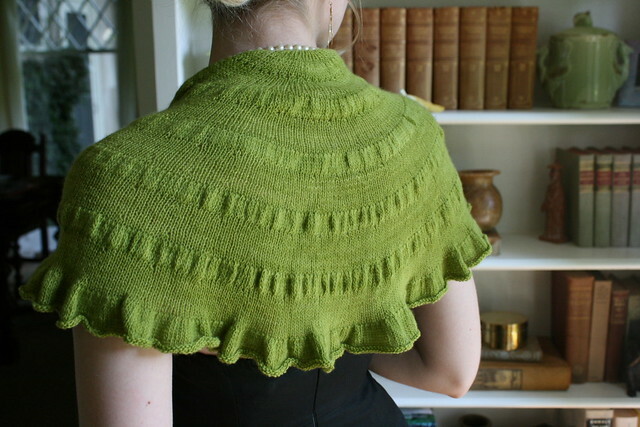 The Monsoon Shawl will take two skeins of Bianca to make. Check out all of our colorways here, and don’t forget your magazine! We’re thoroughly charmed by Rowan’s Fine Art Collection, a book of 14 cozy sock and accessory designs – now available 10% off at Little Knits! This book offers an eclectic range of sock patterns: lacy, cabled, knee-high, thigh-high, colorwork, and basic ribbed. There is also a well-written eight-page section on how to knit socks for first-timers! If you need a break from knitting socks, there are four scarf and wrap patterns to keep your neck just as warm as your toes. Rowan Fine Art is a hand-painted blend of merino wool, kid mohair, mulberry silk and polyamide for durability, touted as Rowan’s first sock yarn. Snag some for 25% off today at Little Knits! The latest issue of Interweave Knits hit our website this week, and we’ve been busy with project planning and scheming! Welcome, Spring 2014. Over the next few days, we’ll be posting about our favorite projects from the new issue. 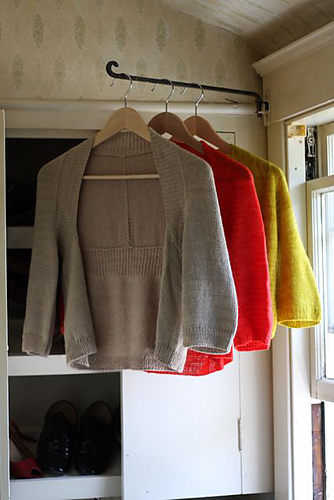 First up is the Gyre Cardigan, another inventive design by Norah Gaughan. The stunning openwork design is constructed with dropped stitches, twisted ribbing, and eyelet increases at the yoke. We think that Elsebeth Lavold Bamboucle is a great yarn for this pattern. A nubby blend of cotton, bamboo, linen and nylon, it’s a perfect yarn for spring knits. Its drape will be perfect for this easy-to-wear cardigan. 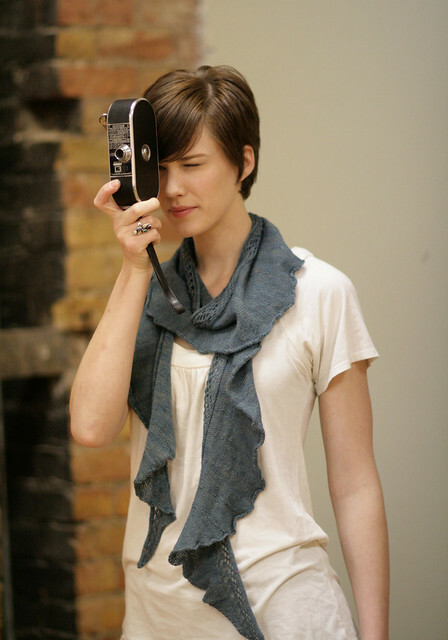 Plus – it’s 65-70% off at Little Knits! You’ll need 13-15 skeins for this beauty. Up next – the Monsoon shawl and Meltwater Pullover! Have you picked up your Spring issue of Interweave Knits yet? What patterns are you itching to cast on? Ahh, Malabrigo, my favorite of all yarn lines. Today’s offering from Little Knits 12 days of Little Sales is Malabrigo Rios. My favorite yarn from my favorite manufacturer! It’s going to be really hard for me to pass up an opportunity to get the lovely Rios at 20% off, but I might be helped by the fact that I snuck up to Little Knits sans toddler a weekend or two ago and snagged three skeins of Aguas. Rios is a fantastic yarn. It’s a worsted weight (4.5-5.5 stitches to an inch on U.S. size 6-8 needles), superwash, 100% merino wool. It is uber soft, squishy and cosy, and comes in many of Malabrigo’s always beautiful colors. I’ve used Rios for a variety of projects, and it has held up well in all of them. This hat (yes, another Thorpe, I know, I’m obsessed!) was knit over a year ago, and has held up amazingly well. Being worn all winter (which can drag on until June here in Seattle), and stuffed into a diaper bag along with toys and snacks and all associated detritus when not being worn, hardly affected it. When it got cold again this fall, I chose Rios again to knit up a new one, since he had grown out of this one. Rios is fantastic for items worn against the skin. 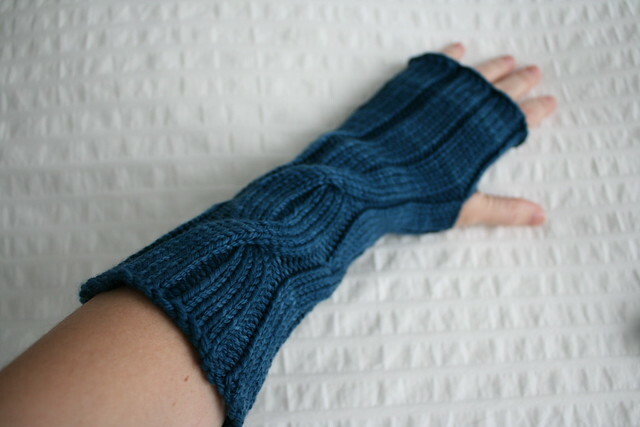 These Dashing mitts get a lot of wear and still look lovely! If you’re looking for an uber soft worsted weight wool, Rios is unbeatable, and the fact that it’s superwash is icing on the (yarn) cake!